A federal judge in Florida has granted bail to a self-professed neo-Nazi who was taken into custody last month by police who discovered bomb-making materials, weapons and ammo in the his Tampa apartment, reports Fox 13. According to the police who took Russell into custody, they discovered the weapons and materials used for making bombs in Russell’s garage and that he had a framed picture of Oklahoma City bomber Timothy McVeigh on his dresser. Police also state they discovered Nazi and white supremacist literature on Russell’s computer. 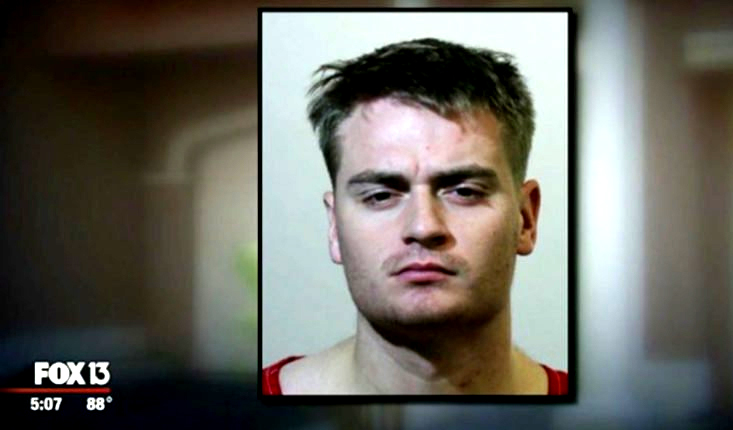 Investigators report that Russell, a member of the Florida National Guard, admitted that he is a Nazi sympathizer and that he previously had created explosives. Police were tipped off to Russell by Devon Arthurs, who was taken into custody after allegedly killing two of his roommates who were white nationalists. According to Arthurs he killed his roommates because he had converted to Islam and they mocked his faith. Arthurs fingered Russell, saying he posted on white supremacist websites that he planned to blow up buildings and kill people. Russell is charged with creating explosive devices and was released over the objection of prosecutors.